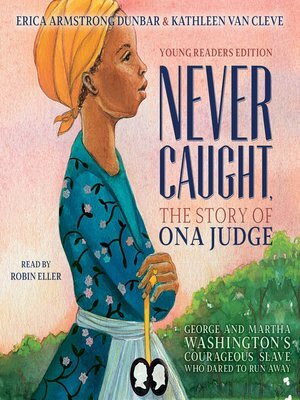 A National Book Award Finalist for Nonfiction, Never Caught is the eye-opening narrative of Ona Judge, George and Martha Washington's runaway slave, who risked everything for a better life—now available as a young reader's edition! In this incredible narrative, Erica Armstrong Dunbar reveals a fascinating and heartbreaking behind-the-scenes look at the Washingtons' when they were the First Family—and an in-depth look at their slave, Ona Judge, who dared to escape from one of the nation's Founding Fathers. Born into a life of slavery, Ona Judge eventually grew up to be George and Martha Washington's "favored" dower slave. When she was told that she was going to be given as a wedding gift to Martha Washington's granddaughter, Ona made the bold and brave decision to flee to the north, where she would be a fugitive.